Welcome to Facebook, Catholic Child! Yay! 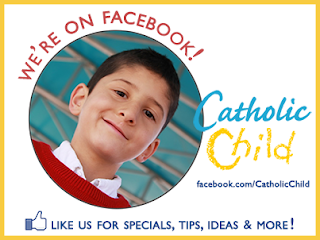 Catholic Child is now on Facebook! Since Catholic Child specializes in products ranging from tots to teens, when I'm specifically shopping for my kiddos, it makes it a lot easier for this busy mama of 7 (Yes 7 now!) 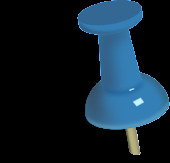 to find great Catholic gifts and resources directly catering to us. And let me tell you! Every moment counts for our busy family, so I really love having a go-to company where I know I can easily find something both me and my kids will love. I'm very particular about what goes into our home, especially with our children's books and play things, so I really like that the family behind Catholic Child has a Montessori connection with their children having attended Montessori school. Speaking of being particular! 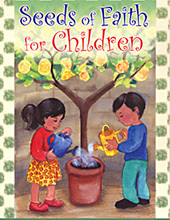 I'm particularly eyeing this lovely book that I found on this lovely article: Fostering a Lifestyle of Faith. Doesn't it look cute?! I think we're going to have to add this one to our must have list!